It's been raining here in L.A. and I needed something to heat it up! 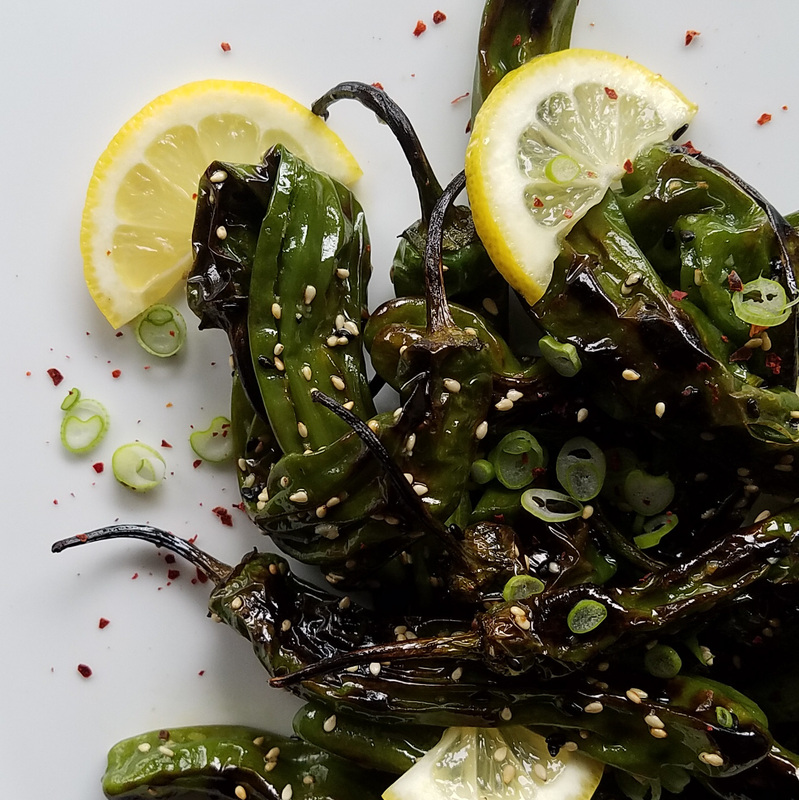 That's when these Blistered Lemon-Sesame Shishito Peppers came into my life and saved the day. I wanted spice, I got it. They say that one in every 10-15 shishito peppers will take you by surprise with an extra kick. Mine had a few more than that. Plus I added extra heat with red pepper flakes and a Sriracha dipping sauce. Let's cook! 1. Preheat oven to high broil. 2. Combine shishito peppers, garlic, 1/2 tablespoon sesame oil, and salt to taste in a mixing bowl. Toss ingredients to coat. 3. Place shishito peppers down in a single layer on a foil lined baking sheet. Save bowl for future step. 4. Broil peppers on top rack of oven for 2 minutes on each side, until blistered. 5. Remove peppers from oven, and return to mixing bowl. 6. Add lemon and sesame seeds to peppers. 7. Plate immediately, garnish with red pepper flakes. Serve with Sriracha mayo, or soy sauce.